The Acer Predator CG437KP is based on a 43-inch 8-bit + FRC VA panel featuring a 3840×2160 resolution, up to 1000 nits brightness, a high contrast ratio (since it is a VA panel, we are probably talking about something like 2000:1 or better), a low response time, a 144 Hz maximum refresh rate, 178°/178° viewing angles, and so on. The monitor can display 1.07 billion colors and covers 90% of the DCI-P3 color gamut. 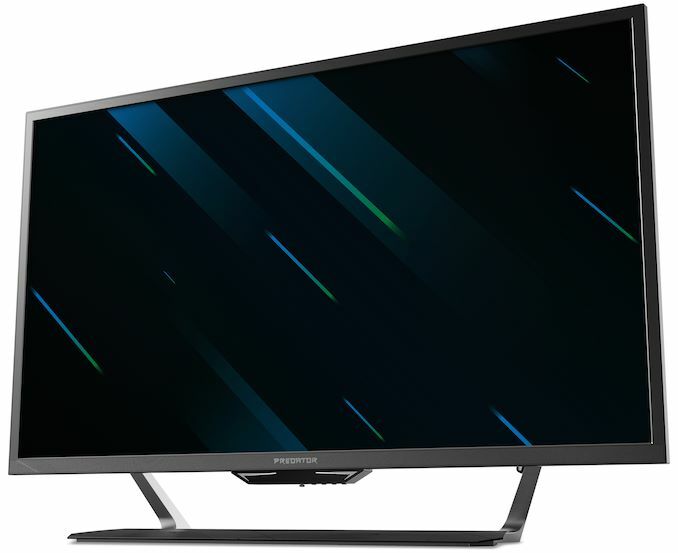 To take advantage of a 3840×2160 resolution at a 144 Hz refresh rate, gamers will need to connect the Predator CG437K P using two DisplayPort cables to avoid compression or reduction of chroma subsampling. Besides two DisplayPort inputs, the monitor has three HDMI inputs and a USB Type-C input (supporting up to 30 W Power Delivery) to attach gaming consoles as well as modern laptops. Meanwhile, the monitor has a built-in quad-port USB hub (2.0 + 3.0) along with two 10 W speakers as an added bonus. 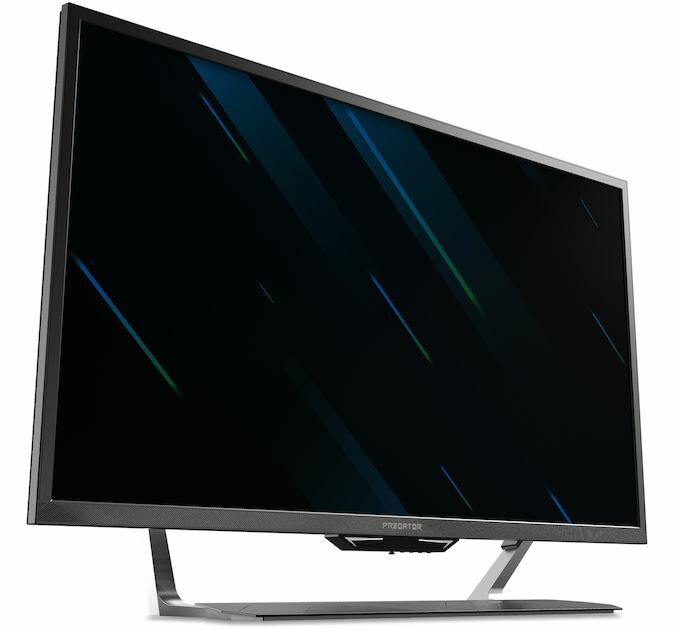 The key selling point of the Predator CG437KP is the combination of its size, resolution, brightness, and refresh rate. There are just a few large format ultra-high-definition displays featuring a 144 Hz refresh rate on the market today, so Acer will offer a rather unique product. The monitor also has a light sensor and a proximity sensor to automatically adjust its luminance according to environmental lighting or even dim it when the user is away. Meanwhile, since the monitor is four to five months away from commercial launch, Acer does not seem to disclose all of its features and capabilities just now. For example, the monitor currently only carries AMD’s FreeSync brand, but at first glance it looks like it has everything in place to support AMD’s FreeSync 2, which would be another major selling point. Acer plans to start sales of the Predator CG437K P gaming monitor in August to September timeframe. The unit will cost $1,299 in North America, 1,499 Euro in EMEA, and RMB 9,999 in China.